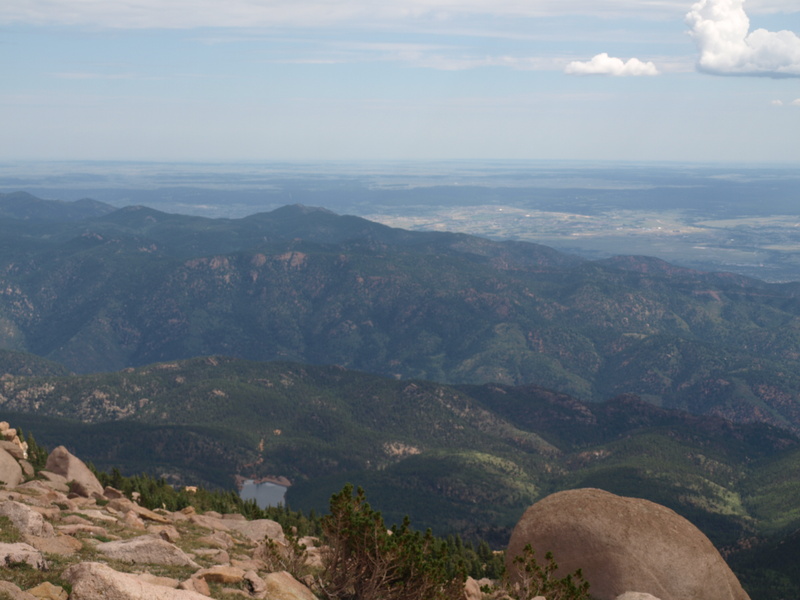 Last weekend I hiked Pikes Peak. I’ve been wanting to do it for at least 10 years, but it’s a 14’er and has always intimidated me. 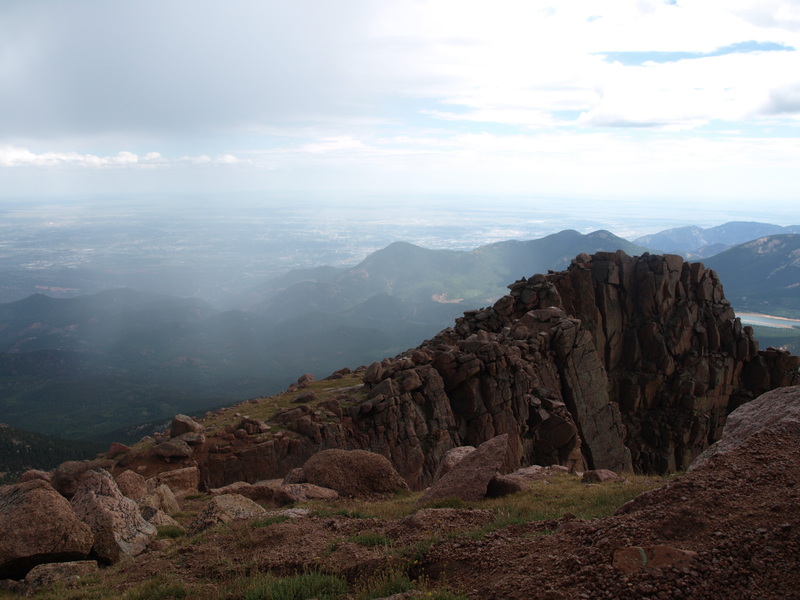 It’s a 13 mile hike that gains 7,000 feet. I mean, I can do the stair master for 45 minutes, but for 8 hours? It took a little bit of training, but the journey was so worth it. And…this might throw you off a little, but I think I really, truly saw an angel. 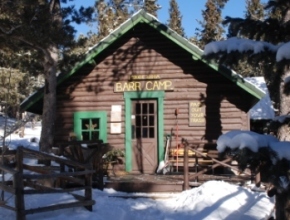 About half way up the mountain is a small camp called Barr Camp. There is a cabin with live-in caretakers and it is a great place to stop and rest for a bit. My group stopped for a chance to fill up on water and to eat something. 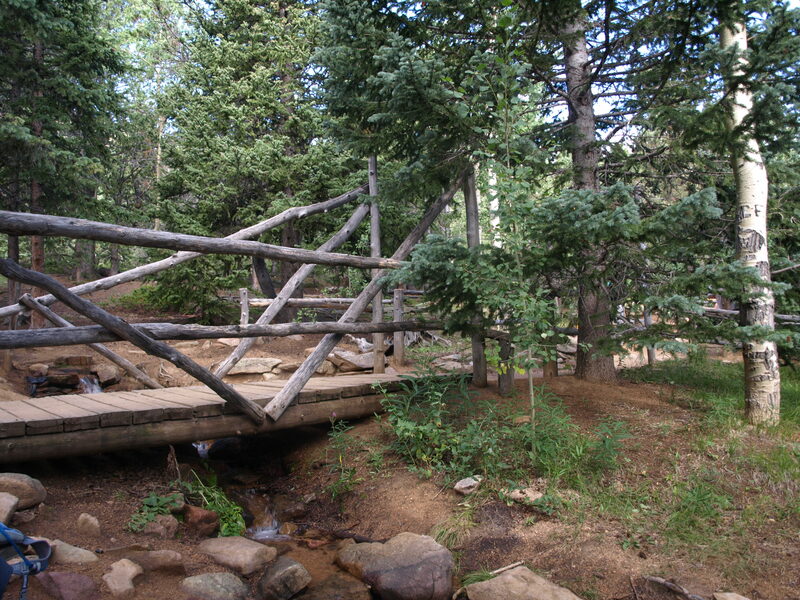 When my sis joined me, we started walking back to the bridge but the man was gone….as in immediately gone. I looked around but didn’t see him anywhere. I figured he had just taken off up the trail and I had somehow missed it, but the thought did cross my mind….”I wonder if he was an angel? Because that is what I imagine an angel (in human form) would look like.” I asked my sis, and she hadn’t seen him. She had walked around meeting the people who were all there and she says she never saw anyone that looked like that. The rest of the hike was beautiful, but I was in pain. My hip had come out of place somewhere at the beginning of the hike and was getting worse. I had taken 3 extra strength Tylenol and 2 ibuprofen and it was still really hurting. I was slowing our whole team down significantly. When we got past tree line and out into the open, the storms started rolling in over the Peak. It rained and hailed on us. Lightening was flashing around us. We really needed to pick up the pace, but my hip really hurt and it was all I could do to just keep going at the pace we were at. Towards the top, everyone in our group was nervous. It was 36 degrees, we were soaked through, and lightening is very dangerous at this altitude. I took this photo right before the storms hit, right before we found the hiking poles. As soon as he said that, I thought of the man at Barr camp who had made eye contact with me and grinned so strangely at me. Surely not. But why not? To think that a real angel had come in contact with me and left me those poles would be childish thinking to some. Maybe the man was just a strange hiker who was overly friendly. The walking poles were perhaps seen as lightening rods by a scared hiker who left them behind to race to the top. These conclusions make more sense in a world where it is more socially acceptable to believe that God doesn’t intervene in our lives, and sounds much more “reasonable” to those who doubt His existence or involvement. Yet when I prayed about this experience, I felt the Holy Spirit speak to my heart, reminding me that scripture says we have to enter the Kingdom of God like a little child. To see what had just happened, I had to have the eyes of a child. Why He has made it that way, I do not know. Maybe it is because no matter how “adult” we get, how smart we are or become, we cannot “reason” our way into the Kingdom of God. There is a simple principle of Lordship we are missing when we try to reason or “figure it all out.” He is so much smarter, so much bigger and so much more complex than we could ever figure out on our own. And so, He asks us to trust and to have faith when it doesn’t make sense. The reason we need to have faith I believe, is because of God’s desire for relationship with us. To blindly have faith in a God we do not trust is not smart. But to have faith in a God who we know loves us, wants good things for us, and who we trust is working for our good….that begs of a trust relationship. And a relationship is what He wants with us. The Old Testament was an old covenant, and one that God decided needed an improved version. The New Testament is a new covenant, which is seen as better and newer than the older covenant. Jesus sums up the whole New Testament by saying, “Love the Lord your God with all your heart, and love your neighbor as yourself.” There it is…Relationship…Love. God wants a love relationship with you, and he wants you to learn to trust Him. But trusting Him requires some faith on your part at times. 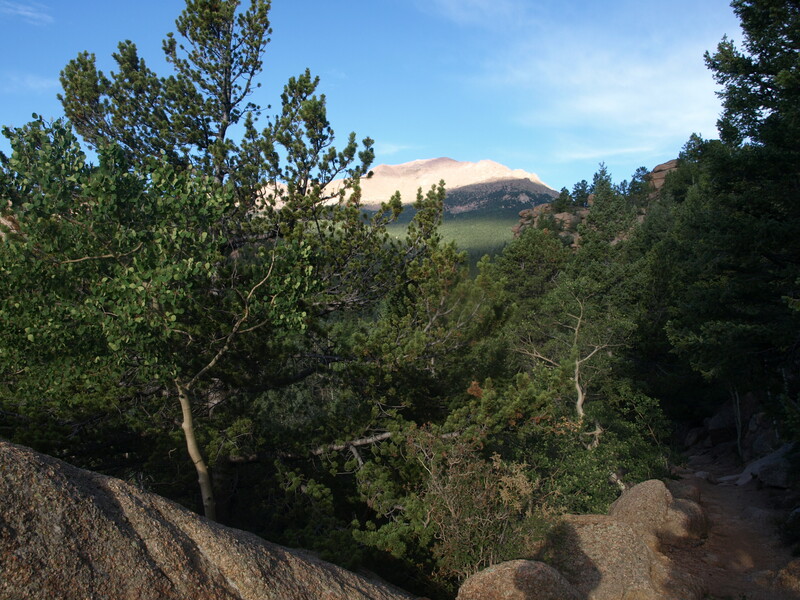 So, knowing what I do about God (that He loves me and wants to be involved in my life), I am choosing to view my hiking situation through the eyes of a child. And, it gives me goose bumps and draws me closer in relationship to the One who cared enough for His child to provide two walking poles to ease the end of a painful journey. It also made me more aware of how real the kingdom of God is, and how there may be angelic beings working behind the scenes when we are totally unaware. It gives me insight that there is a bigger picture at work than what can be seen by eyes alone, and in that I am thankful to trust the One who has my best interest at heart. Oh, Wendy! Thank you for sharing this wonderful and amazing story! I love our Father…He is always there when the journey is rough and He knows exactly what we need and when we need it…. Praise the Lord for HIS ability to use angels, scared hikers, or just drop those poles right out of heaven — HIS choice! We just thank Him and follow! GREAT STORY OF GOD’S TENDER CARE! Wendy, this is awesome! I believe you saw an angel! That is so way cool and to know that God didn’t forget about you while on the mountain!….now that will preach!! I know I’ve told you this before but you really are such a gifted writer! Keep it up girl! Angels watching over you! Oh My what a wonderful experience you had.. I too, believe that was an angel who was there to assist in getting to the top of that mountain. You walked out what the scriptures says. “The darkest night is just before the dawn”, You were at a dark point, your body was hurting and your soul was trying to keep you from your goal. But your spirit knew you had to keep going. With the encouragement from that sweet smile and assistance of the poles left for you. You reach the mountain top, Your Dawn! What a powerful experience you had! So truly beautiful!